This post is brought to you by EVITE® and Cavit Wines. I love when fall and winter make their appearance. Let the festive activities begin! One of those festivities for us is sipping on some wine while cozying up by the fireplace or a bonfire. Sangria is a perfect drink to swap out the red wine for the white, add some fruit — and serve. Sangria has become a very popular, refreshing party drink. 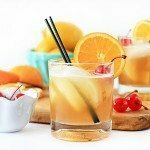 It’s easy to make being that it’s one of the few ‘pitcher’ beverages that you don’t necessarily need a recipe for — and it has fruit in it. Ahem, you can’t beat that! Some even say that sangria is their favorite fruit (wink-wink). Pick a Wine. White or Red. Cavit wines are a great choice! 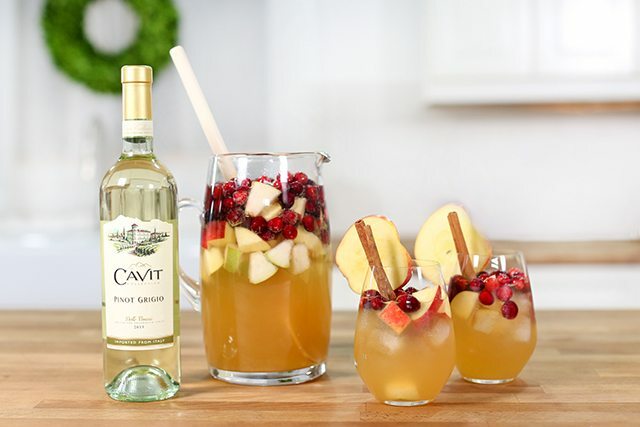 Below I’m linking to a delicious Apple Cider Sangria using Cavit wines. Choose your Booze Will you be adding booze such as brandy, cognac, and/or orange liqueur? You could always mix and match. Keep in mind the the standard is 1/2 cup of booze to one bottle of wine. Pick Fruit(s) of Choice: For fall, apples, pears and cranberries are a perfect choice! Other fruit options include: oranges, peaches, pineapple, lemon, raspberries, pears, plums oranges, and/ or strawberry. Mix Together, Stir Well and Chill. Mix all your ingredients together in a pitcher, stir and place in the refrigerator to chill. Pour Over Ice. Add Bubbly. 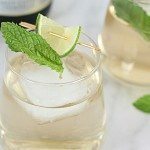 Seltzer is the more popular bubbly use; however, lemon lime soda and ginger ale can work just as well. Garnish (optional). 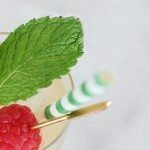 If garnishing is your thing — add a slice of apple to the rim or cinnamon sticks for stirring Garnishes depend on the cocktail your making, of course. 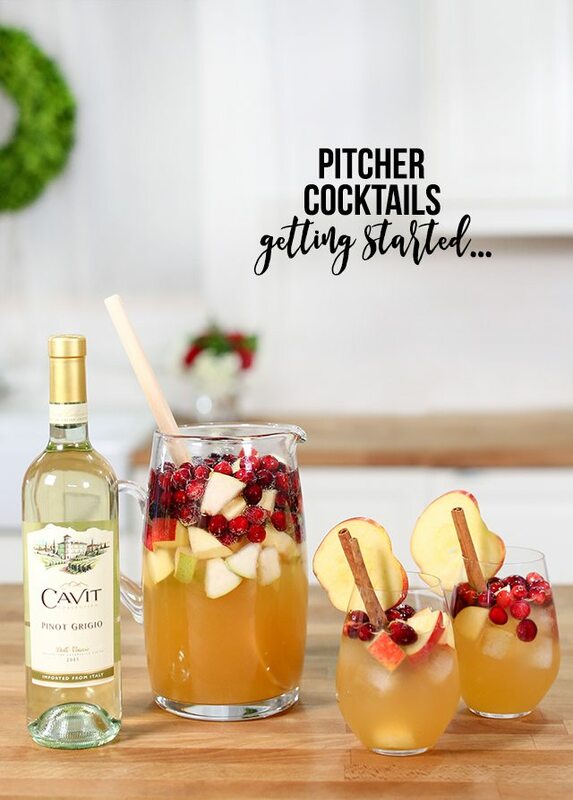 Swing by EVITE for a delicious Apple Cider Sangria recipe and more holiday party ideas and cocktail recipes — and in the comments tell me how you make your sangria? « 12+ Handmade Holiday Ornaments | Party Time! Kelly – this looks FANTASTIC! I gotta try it! This is such a great inspiration1 Thank you! This looks absolutely amazing!!! Definitely pinning this! 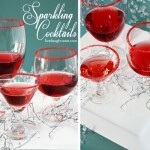 I will so be making these over the holiday! YUMMY!